Dr. Galal Hatem, Director of Emirates Canadian University College in Umm Al-Quwain, said that the Martys Day is the day to commemorate the bravery of those who have sacrificed their lives for the sake of the nation, and reaffirm our loyalty to the wise leadership, pointing out that Emirati martyrs will remain immortal in our hearts. 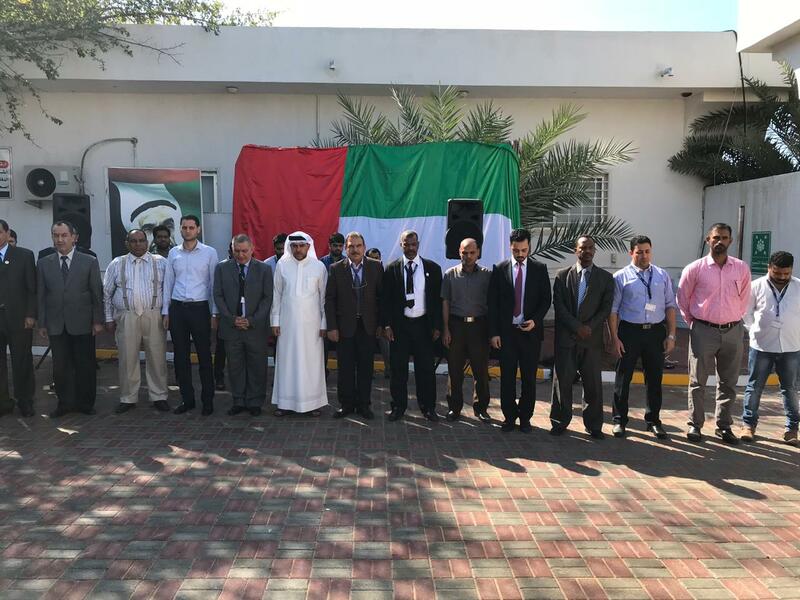 That was during the ceremony of Martyr's Day at ECUC campus, Where Dr. Ali Al Jasmi raised the flag with the national anthem of the United Arab Emirates. Dr. Hatem added that each sacrifice presented by UAE heroes represents a proud story that reflects the meanings of homeland love , dignity and courage for those who have made glory in the fields of honor.